Ne? 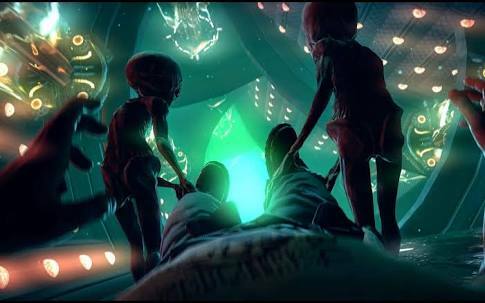 we all know about Aliens ofcourse, we see them in fiction movies, cartoons, stories and definitely enjoy watching and reading about them but do they actually exists?. Most people don't actually believe they exist anyways but i do though. Starting today my next four or five post will be about aliens, their abductions and claims of been seen by witnesses who also disappeared . So here's the first claim of abduction that happened to the Deverow Family. 16th January 2005, shortly after 5pm returning home after having eaten at a little chef at A65 Rachel Deverow, her two sons Benjy(11) and Alex(13) with her mother, Anne were driving towards their farmhouse in high Bentham. They whole family saw a bright light that seemed to be following their car. They continued to watch it for several minutes before it dived towards them and then sped off out of sight. They continued on their ten-minute journey, realizing when they arrived home that it was well after 6:00 p.m. Feeling confused about the hour of missing time, Rachel and the family attempted to put the incident out of their minds. However, Alex began to speak of weird dreams he was having, where he was flying over the countryside "in a strange bubble"!! Rachel eventually agreed to undergo hypnotic regression in order to try and recover the missing hour. She claimed that upon the light descending, all of the family were “flown” up to an alien craft. Once inside, she would describe the room as having no walls and like “standing in space.” A dazzling light shone overhead, and there were “little ones” moving around them, observing and studying them. According to Rachel, they still see strange lights over their family home, leading many UFO researchers to believe that they are likely repeat abductees, and probably have been for some time. Have you ever seen an alien once even slightly?, missing hours in your day?, any paranormal event you witnessed? Contact Us or let us know in the comment sections.